Mix all ingredients in a food processor until mixture is well combined and forms a dough like consistency. You can also just mix the ingredients in a bowl but I find the food processor is quicker. 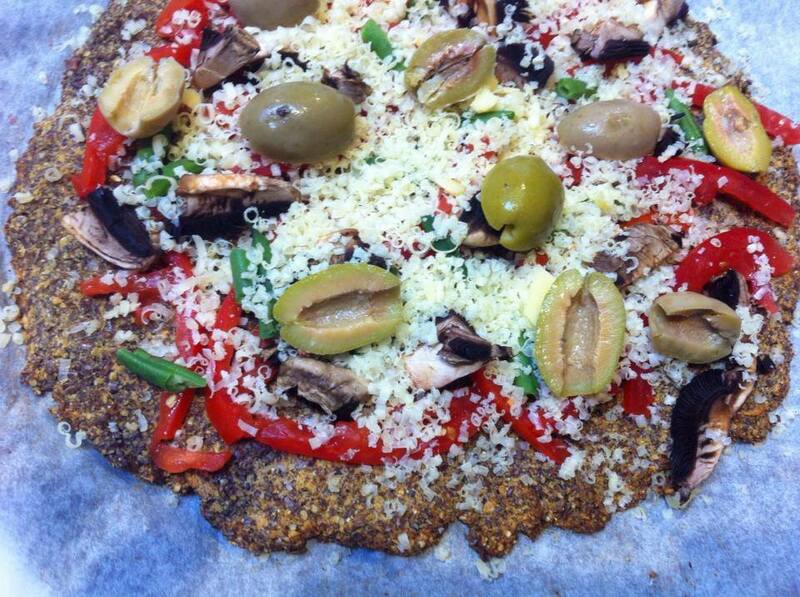 Line a large baking tray with baking paper and press the dough onto it into a large circle just under 1cm thick. Pop it in the oven for 15-20 minutes or until it goes crispy. Remove it from the oven and put your desired topping on top and pop it back in the oven for around 10 minutes until done. Also, if you make any of my recipes I would love to see how they turned out so if you like take a photo and tag me on instagram @chiamiablog or #chiamia.